Below you’ll find my personal review of the products I use and consume on a daily basis to make the healthiest and most delicious smoothies ever! 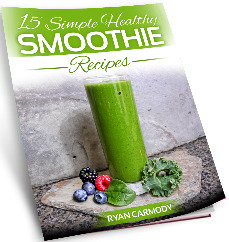 Are your smoothies not turning out as creamy and delicious as you’d like? Are greens, frozen fruit and ice, nuts, and other “tougher” ingredients not blending all the way? I know the feeling, and my stubborn self put up with it for along time. Then I bought a Blendtec Total Blender and everything changed overnight. Ok, I’m being a little dramatic, but hear me out. The Blendtec Total Blender is much more than a blender, it’s a machine capable of making an array of things (smoothies, soups, dressings, dips, sauces, etc) right on your counter top with relative ease. It’s something I can’t live without. 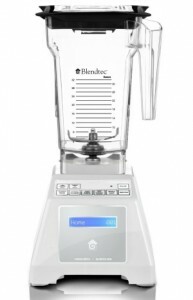 Is the Blendtec Total Blender right for you? Yes, it really is the best protein on the planet. I’ve personally tried dozens of protein powders and this is hands down the best. Don’t waste your money on some overpriced junk protein supplement that doesn’t deliver results. 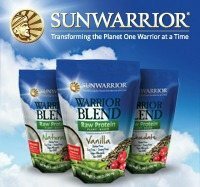 With Sun Warrior you get a superior protein supplement with a perfectly balanced amino acid profile that’s highly assimilable, and best of all, tastes great! I don’t expect you to be sold on Sun Warrior after reading that paragraph, but if take the time to read my full review I’ll think you’ll see why I’m so excited about this protein. If you’re looking for an affordable, yet powerful blender that will meet all your blending needs, an Oster is what I recommend. No more half blended smoothies with chunks of fruit and greens. This blender was designed to liquify! This is the blender that got me started on smoothies several years ago. It’s the best blender for under $100 in my opinion. Click here to read my Oster Beehive blender review.